We are one of the top organizations, engaged in manufacturing, exporting and supplying supreme grade Seed Color Sorter. These machines are manufactured by our skilled professionals by making use of advanced tools and machines in our huge infrastructure facility. Our vendors provide us with best-in-class components and materials to manufacture these machines. 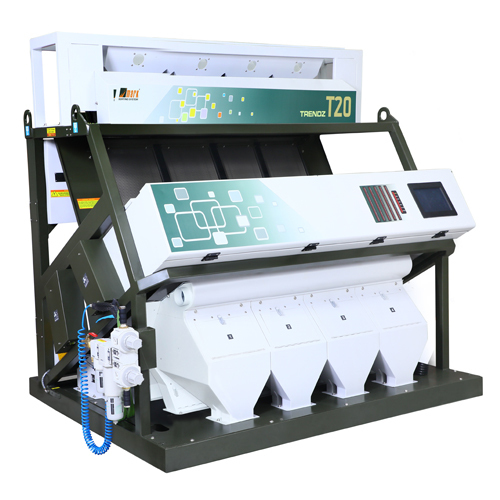 The Seed Color Sorter is widely appreciated in the international market for their high performance and energy efficiency.